Russian scientists find 7,000 Siberian hills possibly filled with explosive gas. I wonder if it makes business sense to harvest these explosive gases and turn them into liquid natural gas for later use, or to build power plants on the spot and extract energy out of no man's land in the form of electricity instead of LNG. If oil and coal prices continue to rise, at what point is it profitable to collect these gases that are already leaking into the atmosphere? Extracting natural gas from pingos is likely not cost-effective. A count of 7,000 pingos, alternative included, was likely an underestimate, in Romanovsky’s view. Across the entire Arctic permafrost, he estimated there may be as many as 100,000. But he could not say how many fell into which category — a symptom, in part, of the relatively poor resolution of imaging satellites that travel above the tundra. While this sounds like a lot, the "alternative pingos" are the ones which contain methane (the primary component of natural gas) in sufficient concentrations to be considered explosive. They are a tenth the size of the "traditional" pingos, measuring 50 to 100 meters across. The article also says that only a "handful" of these alternative pingos have been found, and only as craters -- after the bubble burst. 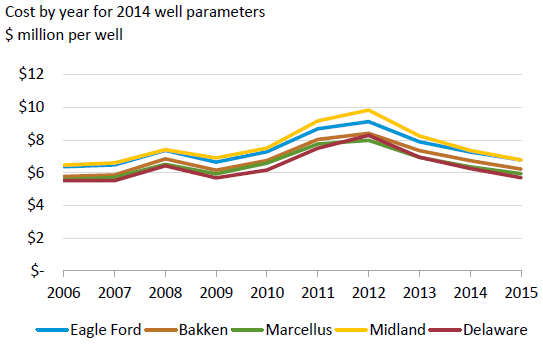 Shale gas productivity is up, and costs are down. Even if a path to cost-effective extraction of methane from pingos could be proposed, there is little incentive to spend money in this direction, as other sources currently exist -- namely, shale gas plays in North America. A possible "next" source of natural gas -- methane clathrates -- is already being explored. China has for the first time extracted gas from an ice-like substance under the South China Sea considered key to future global energy supply. Methane clathrates (also called methane hydrates) are frozen deposits of natural gas mixed with water which are located throughout the oceans, typically at or near continental shelves. It is estimated that natural gas stored in these deposits is equivalent to ten times the quantity in on-shore shale gas deposits. Not the answer you're looking for? Browse other questions tagged greenhouse-gas-emissions natural-gas or ask your own question. How is Natural Gas more sustainable as fuel than Gasoline? How much gas does it take to heat water from 15 to 60 degrees C?